Earlier this year I had the fantastic opportunity to live in San Jose, California, for six months. This temporary move was definitely out of my comfort zone – my entire family and most of my friends live on the East Coast, and it would mean leaving the comfort and familiarity of Northeastern. One of the more exciting parts of living in California was that I was able to celebrate my birthday while there. And not just any birthday, but rather my 21st. I was especially fortunate because my parents flew out to visit me for my birthday weekend and they took me to Napa Valley to celebrate me being able to finally drink. While I’m not much of a drinker compared to some of my friends, when I do I tend to enjoy wine. But even now I don’t really know a ton about wine, other than the basic color differences. Having a day to try a variety of wines was not only fun but also gave me the chance to start exploring what I liked best. 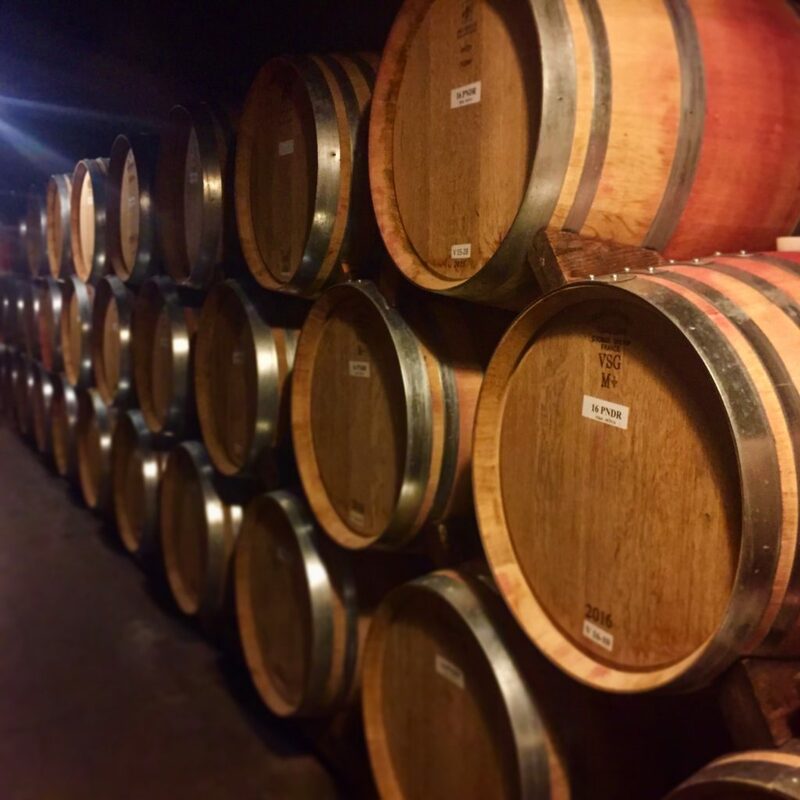 While I’m sure lots of visitors to Napa come for the famous wines and vineyard and know their wines, I can attest that even a novice would enjoy the chance to try so many new wines. I also enjoyed the variety at Napa. During the day my parents and I went to three different wineries. While I don’t remember all of the names, each provided a completely different experience. The first place we visited focused on the process of making wine and included a tour of their underground storage, as well as a very small wine tasting in a cave-like room. It was interesting seeing thousands of wine bottles being stored until they were matured enough, as well as seeing the giant casks underground. The next winery we went to was unique because it was a rather large castle. The winery had their vineyards, but to make it more interesting they had built an entire castle and gave a fake history tour of the castle as though it had been standing for hundreds of years. This even included a tour of their “long standing” medieval torture chamber. Beyond the fun (and slightly corny) tour, the wine tasting was enjoyable because you were able to sample any five wines from their list of fifteen wines. This was especially great for my parents and me, as we each chose a different five and were able to try each and rank our favorites. The final place we went to was a more popular brand, Sterling. I enjoyed this tour because it included a gondola ride to the main entrance, and while the day we visited it was rainy, I can only imagine the beautiful view of the Napa Valley you can see on a clear day. While there was a free self-guided tour around the winery that included learning how the machinery worked, my parents and I also had a wine and cheese tasting. This was different from the other tours as we were served restaurant-style and taught how each different cheese brought out the taste of the wine and how it was selected. Each tour was completely different which made the day even more fun. I loved it as someone pretty new to the wine scene, and could only imagine people with more experience loving a trip to Napa. Since my first day in California, one of the things I was most excited to see was the California Redwoods. While I’m not usually the type of person to get excited over seeing a new type of tree, the California Redwoods are some of the largest in the world and something I didn’t want to miss. Unfortunately the Redwood National and State Parks was about a six-hour drive from my apartment. Thankfully, there was another option: Muir Woods, only about an hour from San Jose. And even better, while there is an option to pay for admittance to the park, if you are willing to commit to a slightly longer hike entrance is completely free. My hike in Muir Woods was fun in part because for the first half I didn’t see nearly as many Redwoods as I was expecting. The route my friends and I took had us walking around the main part of Muir Woods for the hike up, and then coming down through the woods. 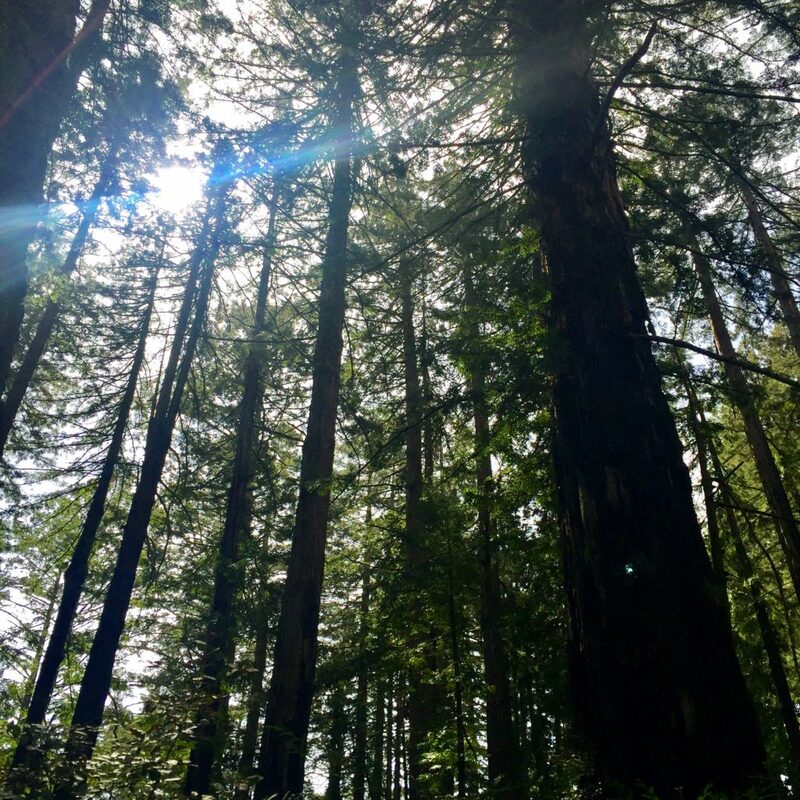 While initially I was getting frustrated because I thought I had made a mistake and I might have committed to a hike slightly beyond my physical abilities, once we began our descent down through the forest I was blown away by the magnificence of the redwoods. Muir Woods is beautiful and feels almost magical. There is something special about taking a break from the day to day city life to get back into nature. But this was more than that. It was almost overwhelming how large these trees are. Without a doubt, there are trees over fifty times my height. And while writing that down doesn’t seem so tall, I don’t think I’ve ever felt so small. The trees are also incredibly old. The nature I was walking around had been standing for over one thousand years, with one tree on display having been ‘born’ in 909 A.D. That’s over a thousand years old. To think that I was surrounded by living things that had been around for that long and will continue to live on for many years beyond me was an interesting feel and one that made me question my own significance in the world. Even if hiking isn’t your thing, missing out on the California Redwoods is a mistake. While it might not be the smartest to commit to a hike out of your league like I did, definitely take some time to walk around these natural wonders and truly find yourself surrounded by nature. One of the cutest towns I visited while in California was just past the Golden Gate Bridge, Sausalito. 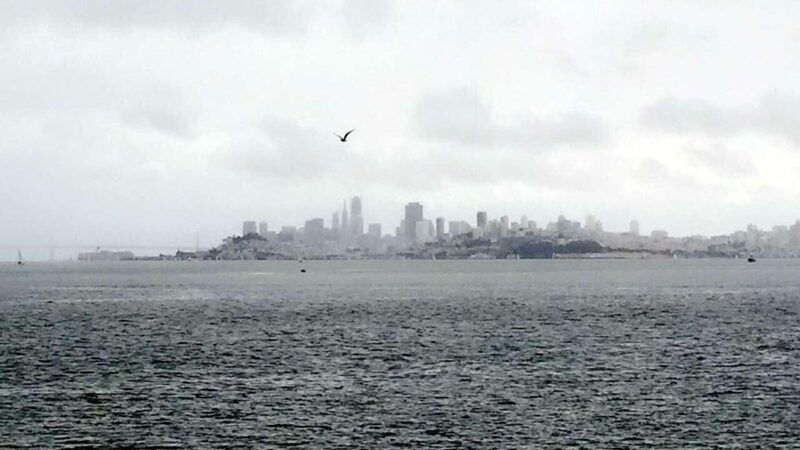 This town is beautiful, absolutely picturesque, featuring a fantastic view of the city of San Francisco. The first time I visited was with my parents when they came to see me. Sausalito holds importance to them, as it is where my dad proposed to my mom. It was cute seeing the town as I was able to hear the story of their engagement again, and also get to see the restaurant they had dinner at and the exact spot where my dad got down on one knee. Even beyond the family significance, Sausalito is a fun place to visit. It has a small town feeling while still being remarkably close to such a major city. When visiting it feels as though you are able to take a breath of fresh air and slowly work your way throughout the afternoon. I absolutely love perusing art galleries, something I discovered during my time in Portland, and Sausalito is the perfect place for this, with a dozen or more art galleries right next to one another. 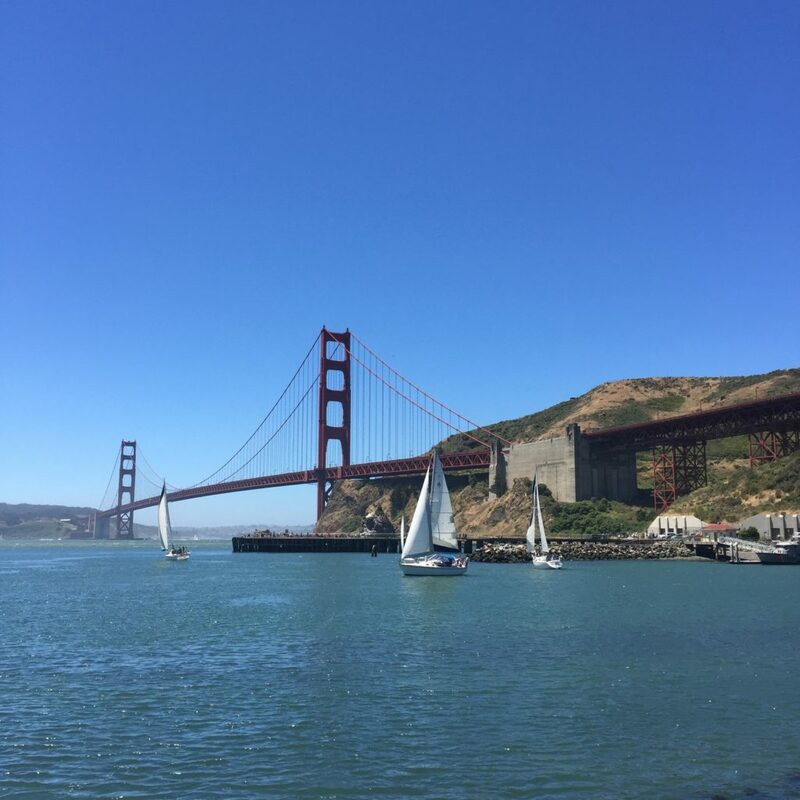 Combine this with some great restaurants, beautiful houseboats to marvel at, and a fabulous San Francisco skyline and you have yourself the perfect day. The main attraction I had the ability to experience while in California was the incredible city of San Francisco. Only about an hour’s drive from where I was living, San Francisco was everything I could have hoped for in a city. There were outstanding museums, fantastic food, and even better ballets to see. I had the chance to see some of the most beautiful architecture I’ve ever witnessed, tour famous landmarks, and find my niche in different neighborhoods. I loved getting to know the city of San Francisco. While it never felt quite like home to me, I am forever grateful that I had the chance to explore such a famous city in the world over the course of six months. For more about my favorite San Francisco attractions, check out my blog post on my Top 9 San Francisco Attractions. Big Sur and I have a complicated relationship. As I discovered when I visited Vancouver, I love getting in a car, playing the radio a bit too loud, and driving up or down a highway where I can pull off every few feet to see absolutely breathtaking sites on the side of the road. So Big Sur would be one of my favorite things to drive along in California, right? Too bad I visited California the year it rained enough to end the drought. While I had been able to drive down some of the ways with my roommates in late January and have an absolutely amazing time, I wanted to see more. But thanks to mudslides, for the six months I was in California the majority of Big Sur was closed off. Without hesitation, I would go back to California to drive down Route One. I still want to see McWay Falls, the Bixby Bridge, and Pfieffer Beach, some of the sites I was most excited for in California but that I, unfortunately, was unable to visit. However, what I was able to see, albeit not much, was amazing. Absolutely stunning. The California coast is a beautiful sight to behold. When my roommates and I pulled off the road to get out and walk around, I was overwhelmed by the beauty of what I saw. There are beaches to stop at, cliffs with gigantic crashing waves to climb, and some of the most beautiful views to take in. 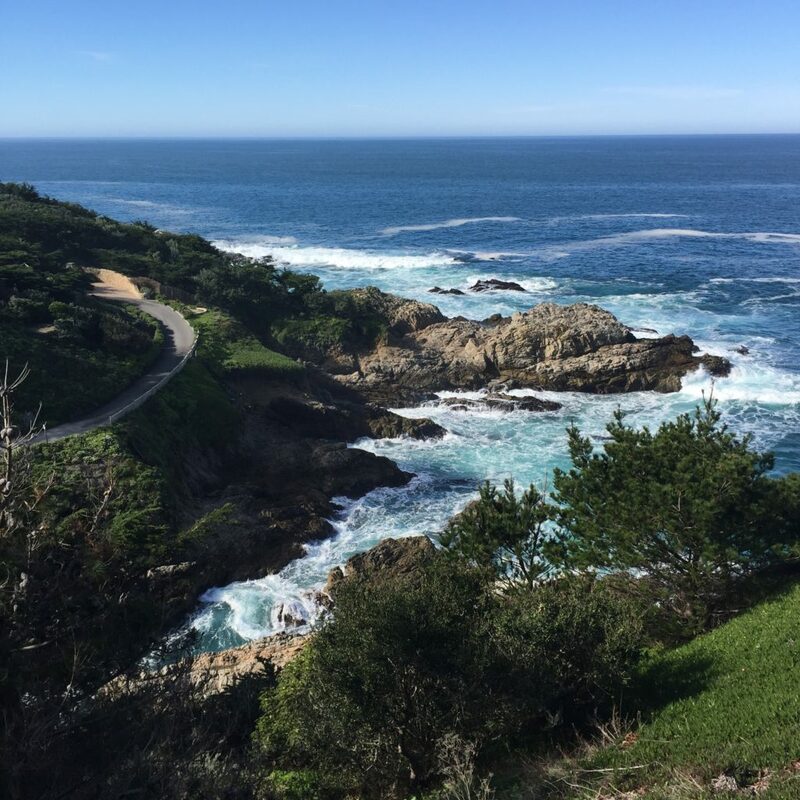 Another benefit of driving Big Sur is that you are also likely to pass either Monterrey or Carmel-by-the-Sea. While both are fun to explore with their own unique attractions, I loved Carmel. I took a trip with my roommates to Carmel to relax and explore the beach, and it was perfection. Much like Sausalito, there were tons of art galleries and restaurants, but Carmel had the added benefit of feeling like a beach town. It’s the perfect place to drive to in order to have a relaxing afternoon or even to just stop for some food as you make your way down the coast. Santa Cruz is the quintessential California. When I grew up thinking about California I imagined a large beach with tons of people sunning themselves, maybe even throwing a frisbee or playing beach volleyball. The everyday California life in San Jose wasn’t this at all. But while I was only about an hour’s drive from Santa Cruz, so only took that long for me to see what I had only imagined. Santa Cruz was a blast. The first time I visited I was with two friends and after utilizing street parking, we walked part of the boardwalk. We ended up deciding to hit the beach instead of walking the entire length or exploring the amusement park rides available, but if I were to return I would definitely check it out for longer. One of my favorite spots in Santa Cruz County was Natural Bridges State Beach. It was less crowded than the main strip near the boardwalk, and it also featured a cool rock formation (a natural bridge) that you could swim up to. Getting the chance to swim into it was especially fun, in part because the interior was completely covered with shells and small sea life. 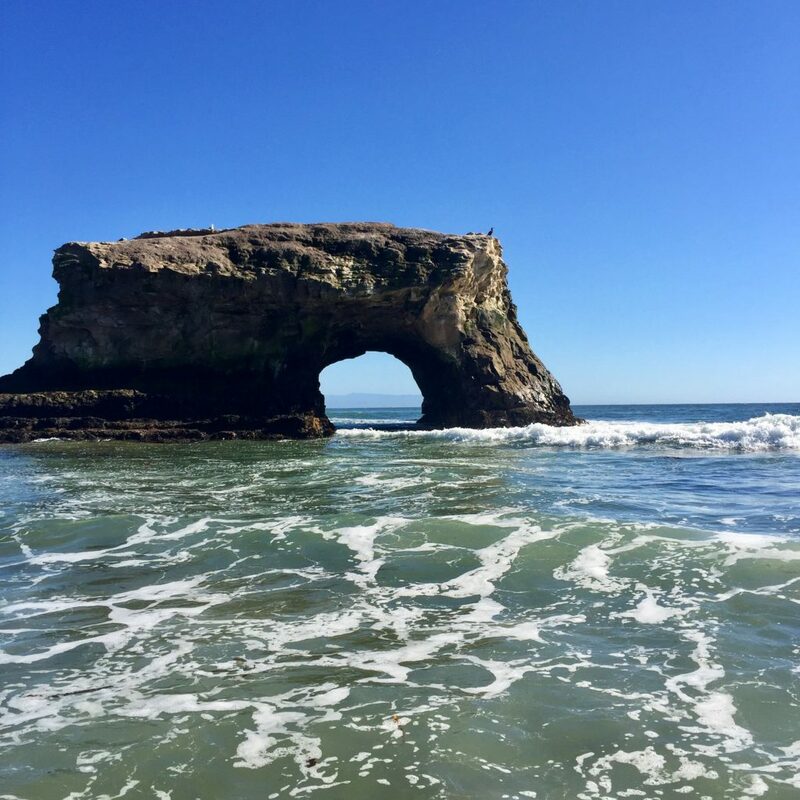 Another interesting fact about Natural Bridges State Beach (and Santa Cruz as a whole) is that it is an excellent place to see the monarch butterfly migrations. By the time I visited the season had passed, but if you are visiting between October and February it would definitely be worth checking out. Really close to Santa Cruz, and technically still in Santa Cruz County, is the town of Capitola. One of the incredible women I worked with lives here and had invited my friends and me up to visit her for a day. She lives right on a creek and we were able to paddle board down to the beach, spending the entire day relaxing and exploring the town. The center of town was very cute, and for someone looking for something similar to the main drag of Santa Cruz but less crowded, this is definitely the place to check out. A city I was very excited to visit during my six months was Los Angeles – and not because of any particular attraction, but because of one of my friends who lives there. I hadn’t seen my friend in person in probably four or five years, so getting the chance to stay the weekend in her home city was absolutely fantastic. I had been to Los Angeles before and had the opportunity to see major attractions many years ago on a family vacation, so my time in Los Angeles was particularly fun because I didn’t feel any mad rush to see everything within the city. Rather, I had the opportunity to relax and see what someone who lived in the city for many years considered the highlights. The first time I had visited Los Angeles it wasn’t for me. While at the age of thirteen I loved seeing all the stars on the Hollywood Walk of Fame and pretending to be Julia Roberts on Rodeo Drive, nothing stood out to me as particularly fantastic. I was glad to have visited but had no real desire to return. This trip was different. 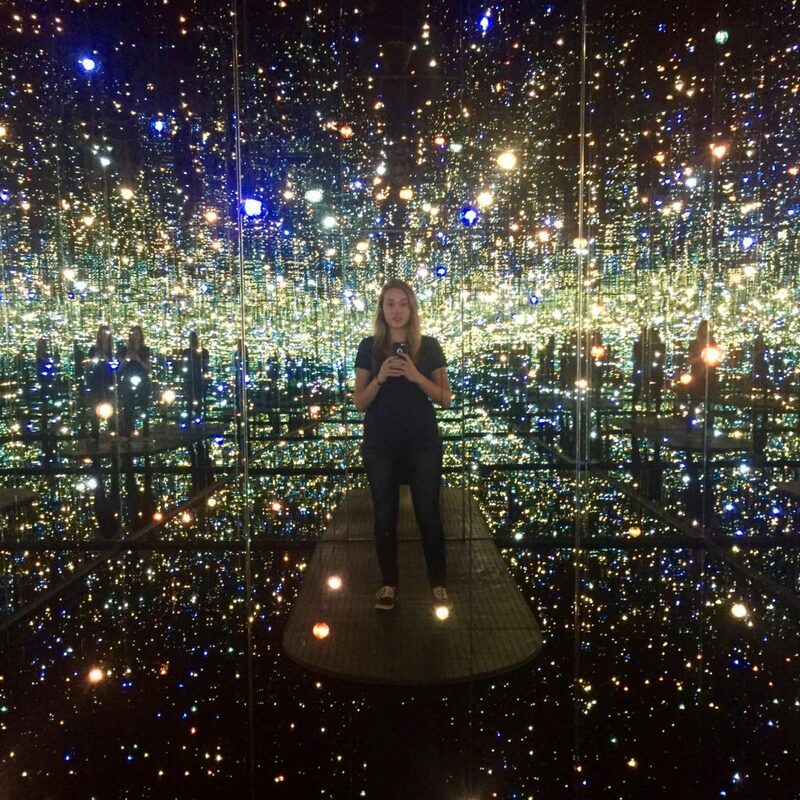 While I saw some of the more famous Los Angeles attractions like the Griffith Observatory and the Broad (including Yayoi Kusama’s absolutely incredible Infinity Room, potentially my favorite museum exhibit ever) the visit was more focused on capturing the vibe of Los Angeles while doing more everyday things. We brunched at a hip restaurant in Los Feliz named one of the top 100 brunch spots in the United States. We got tacos at the laid back Tito’s Tacos. We went on a dog hike. We saw the premiere of Wonder Woman. We walked Abbot Kinney Boulevard. We got our nails done. It was one of the first weekends where I had not only traveled somewhere but also felt relaxed. There was no rush to see everything, and because of that, the weekend was perfect. Now I would love to get to go back to Los Angeles, and not only because I have a friend living there. I would love to explore some of the other neighborhoods around the city, as well as eat at some of the fantastic restaurants. I would love to check out more museums and maybe even spend a day on the beach. Los Angeles was a fun place to visit, and one I would love to explore even more. While I had the chance to visit some incredible places in California, there were also many I didn’t get to visit. If I were to have more weekends I would have wanted to visit Lake Tahoe, Oakland, Yosemite, Santa Barabara, and the Channel Islands, to name just a few places on a long list. But while I am upset I missed these locations, I had the opportunity to visit some equally incredible places outside of California, such as Portland, Vancouver, and Seattle. My six months in California provided me with immense opportunities to travel, while also getting me excited to see what other places I could explore in the state I called home for six months. This entry was posted in North America, Travel and tagged california, top-attractions, travel. Bookmark the permalink.